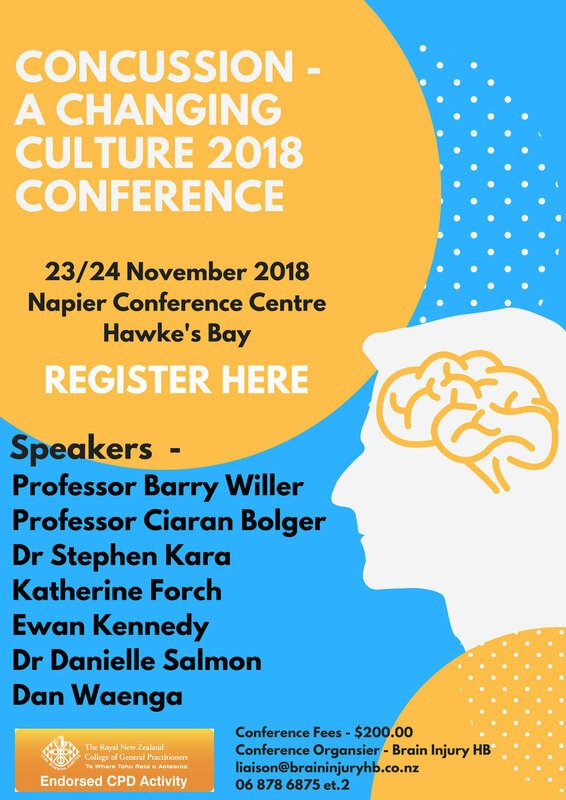 The Concussion - A Changing Culture 2018 Conference, Napier, Hawke’s Bay sponsored by Proactive on Fri 23 - Sat 24 Nov 2018 was a great success. A big thank you for all who attended and supported this event in particular Dr Barry Willer, Professor Ciaran Bolger, Dr Stephen Kara and NZ Rugby's Dr Danielle Salmon. 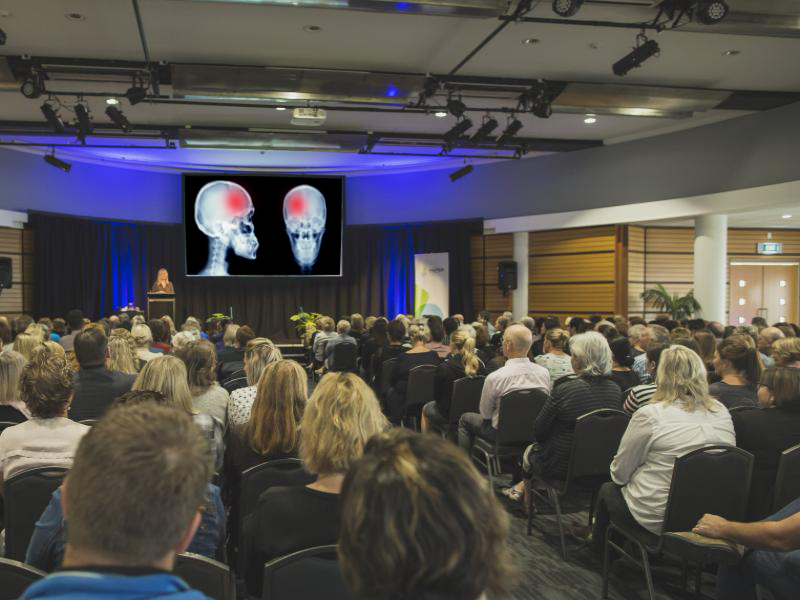 The “Concussion – A Changing Culture 2018 Conference” activity was endorsed by The Royal New Zealand College of General Practitioners (RNZCGP) and has been approved for up to 10.66 CME credits, for the General Practice Educational Programme (GPEP) and Continuing Professional Development (CPD) purposes. The Proactive Concussion Service provides early access and timely assessment for people who have sustained a mild (concussion) or moderate traumatic brain injury or have post-concussion syndrome. We ensure we look after the client through their journey from early triage through to their independence, study or work goals utilising our range of services alongside our Concussion service if required. Optimal recovery is achieved through supporting clients to effectively have control over factors that can significantly impact on their return to full functioning. The Proactive Four Corners of Health Approach ensures that clients recovering from injury understand how to re-engage in physical activity, how to modify their diet, the importance of sleep and ways in which they can approach their recovery mentally and emotionally; leading to quick recovery and improvements in wellbeing.